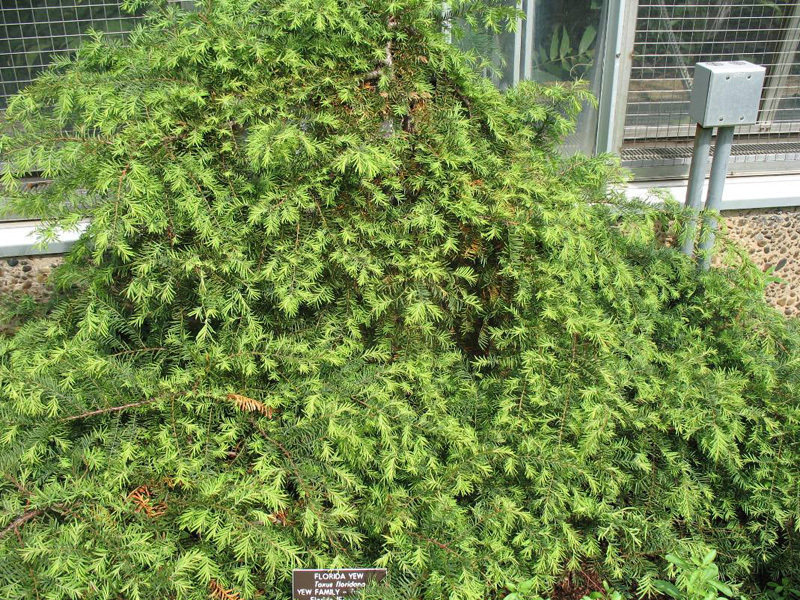 Comments: Florida yew is one of the rarest trees in the world and is only found along a 15-mile reach on the east side of the Apalachicola River between Chattahoochee and Bristol. Cold hardiness outside zone 8 is not known. It is moderately drought tolerant. Very difficult to obtain but could be used as an accent or speciment plant.